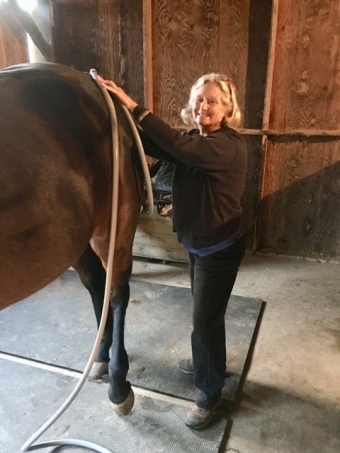 Putting it simply, PEMF is a Massage for your Cell Membranes. Our living cells, and in fact, ALL living cells generate a natural electrical charge created by the movement of ions in and out of the cell membranes. Any challenge to the cell such as injury, toxicity or oxygen/nutrient deficiency alters ion movement and the charge of the cell membrane changes. This altered charge profoundly affects the metabolism of the cell and its ability to absorb oxygen and nutrition and release waste and toxins. This metabolic change ultimately results in loss of energy, pain, inflammation, swelling and ultimately, disease. The PEMF machine creates a series of safe, gentle magnetic pulses that travel from the main unit through the loop. As the loop is placed on or over the body, the electro-magnetic field pulses ON and OFF and makes a soft clicking sound. As the magnetic field is pulsed ON, electrons are excited and the cells are expanded and "Exercised". The electrically charged cell membrane is gently pulled by the pulsating magnetic field and the cell is "Recharged". When the pulse is OFF, the cells relax. This cellular "Exercise" helps to increase blood flow to the area and increases the permeability of the cell wall. In doing so, nutrients and oxygen are readily absorbed, and proteins more efficiently metabolized for use within the cell and surrounding tissues. This also means that damaging toxins and cellular waste can exit the cell more efficiently through the lymphatic (detox) system, reducing pain and inflammation and improving the overall healing capabilities. PEMF Therapy optimizes cell function and enhances the bodies natural ability to heal itself. PEMF might seem like a new technology in North America, but it has been safely used throughout Europe and other countries for more than 50 years. 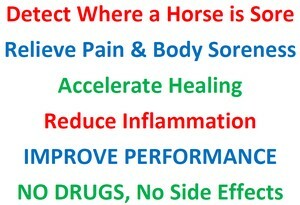 2000+ studies have proven the benefits of PEMF and it is a widely used therapy for multiple conditions, improved health and enhanced performance of people and animals (including dogs, cats, and show, race and pleasure horses) around the world. 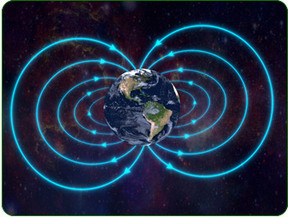 Although many people are aware that the planet earth gives off its own magnetic field, many do not know that this particular magnetic field varies as time passes and that it has an intensity and frequency which propels all life. The earth's electro-magnetic fields help a bird navigate and a bee find its hive. It also helps planes navigate the airways. But much more than that, the EMF, (electromagnetic fields), propel life on earth and affect the very core of existence for all animals. The first evidence of the need for pulsed electromagnetic fields was actually discovered after the very first launch of a human into orbit around the earth. Russian Yuri Gagarin went into space in the early 1960s... and orbited our planet once and then returned. When he came back from that historic trip, Yuri unfortunately experienced symptoms of depression, diminished metabolism, reduced perception, bone tissue loss, and even muscle tissue deterioration. Yuri was only without the PEMF of earth for one hour and forty-eight minutes. 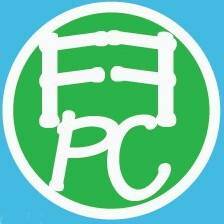 It is easy to see what prolonged PEMF deprivation could do to a person. After Yuri's illnesses, research has confirmed human cells deprived of pulsed magnetic fields will die very quickly. PEMF is absolutely a vital element of human life; in fact many researchers have started referring to PEMF as "The Fifth Element." Along with food, water, oxygen and sleep, the body needs PEMF to survive. The body is an environment composed of both chemical and electrical fields and at any one time we are only as healthy as our cells can be in that environment. Cells are like an electric battery; subject to states of charge or depletion. Electricity trumps chemistry. If the cell was energetically weak, the invading organism could win this vibration contest, thus infecting the cell. We suffer from energy loss due to stress and environmental pollution, living and working in buildings constructed with concrete, steel and metal alloys, driving in cars on paved roads, and by the electro-pollution of ultra-high frequency radiations from cell phones, microwave ovens, wireless phone and computer networks, and radar/satellite signals, etc. Because of this we are more susceptible to illness, loss of cell membrane integrity, compromised immunity, and depression. Together with insufficient exercise or stress from performance and diet complications, our necessary energetic balance is depleted. Cells no longer function correctly and this situation leads to poor circulation, declining performance, premature aging, and degenerative diseases. To reclaim the bodys natural state of health, cell function needs to be restored. We have entered an era where we can, by way of technology, broadcast healing electromagnetic fields; bringing our cells into a state of balance; empowering the electrical-field of each cell and thereby creating strength and protection from the invasion of disease causing pathogens.